According to the literature I'm at 50%, having now seen 11 of 22 Oenanthe species. This isn't enough. For the record, here they are, and where I've seen them. Cyprus Wheatear - can't remember. Malta? This leaves the following species, including Hooded which clearly I need photos of, and where to see them. You will see that some of these locations could be slightly problematic. Whilst I would dearly love to see all of these, I'd rather not be chained up in a hole sending videos home to the UK government every now and again. Arabian Wheatear - Arabian peninsula. Capped Wheatear - Kenya to South Africa. Finsch's Wheatear - Turkey to Afghanistan, winters in Egypt with small numbers in Cyprus. Heuglin's Wheatear - transitional area in sub-Saharan Africa, from Mauritania in the west to Sudan in the east. Hooded Wheatear - eastern Egypt and the Arabian Peninsula. 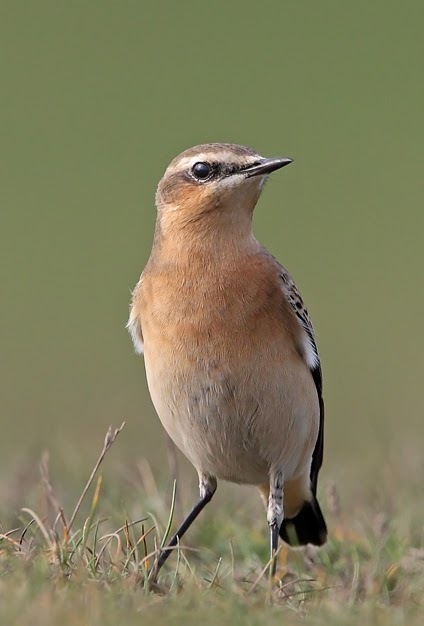 Hume's Wheatear - eastern Arabia, Afghanistan, Iran, Iraq, India, Pakistan. Kurdish Wheatear - Turkey, Middle East, winters in Arabian Peninsula, Egypt, Sudan etc. Mountain Wheatear - Namibia, Botswana and South Africa. Red-breasted Wheatear - Eritrea and Ethiopia, western Saudi Arabia and Yemen. Red-tailed Wheatear - Turkey through to Afghanistan, winters Arabian Peninsula and Iran/Iraq. Somali Wheatear - Ethiopia and Somalia. Variable Wheatear - Egypt, Israel, India, and lots of places ending in stan. So what is the next target, and when? Cyprus was the very obvious place to go, but with that done (and if I want to avoid conflict zones and scary places), Turkey (3) and Egypt (4) seem to feature quite heavily. Five could perhaps be seen in the UAE, and intriguingly, there are two in South Africa. If I am serious about this then I am clearly going to need to do some research re timings and locations. It seems quite a fun thing to pursue though, and I have made a pretty good start. Now is when it starts getting difficult though. Plus, depending on your view of what splits count there's Seebohm's, Persian, Maghreb.